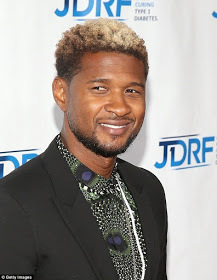 According to new reports, singer, Usher is herpes free! According to Sandrarose ,a credible source within Usher’s camp provided documents and photographs that proves Usher Raymond did not pay his former babysitter, Maya Fox-Davis, a $1.1 million settlement. The site also claims the legal complaint doesn’t exist, neither does the settlement check,which explains why Radaronline and TMZ haven’t published it. Usher’s loyal wife, Grace Raymond, is said to be unfazed by the accusations because her husband is clean. Usher, who is currently in an Atlanta recording studio working on his next album, has not responded to the allegations.